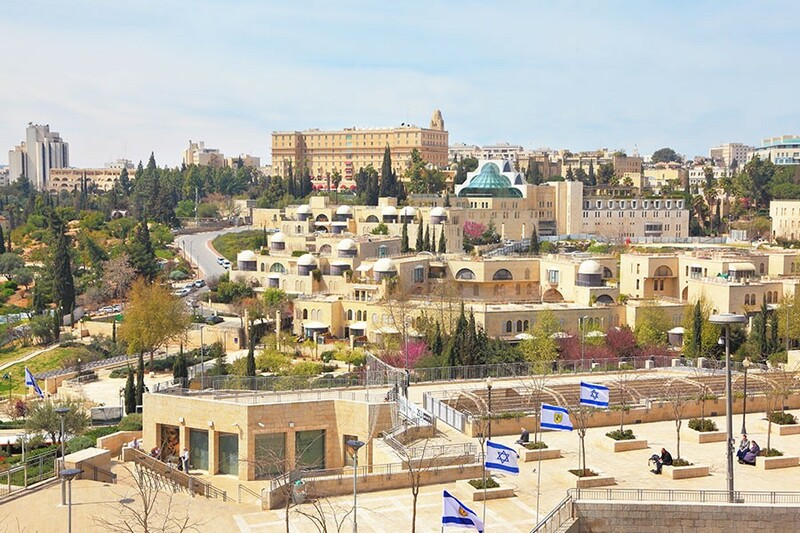 Israel is defined by its rich web of cultures, its eclectic population of Arab Muslims and Arab Christians, Druze, Bedouins, Circassians, Samaritans and Jews from 70 Diasporas, from East and Western Europe, North Africa, Asia, North and South America. 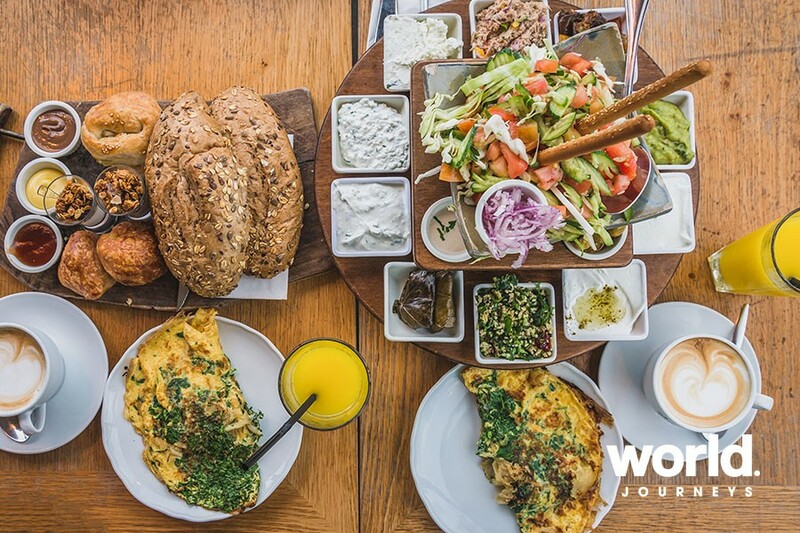 Explore the legacy these cultures, peoples and religions have left in the traditions and particularly the food of the country in our very special Culinary Tour of Israel. Day 1: Tel Aviv You will be met and transferred to your hotel. 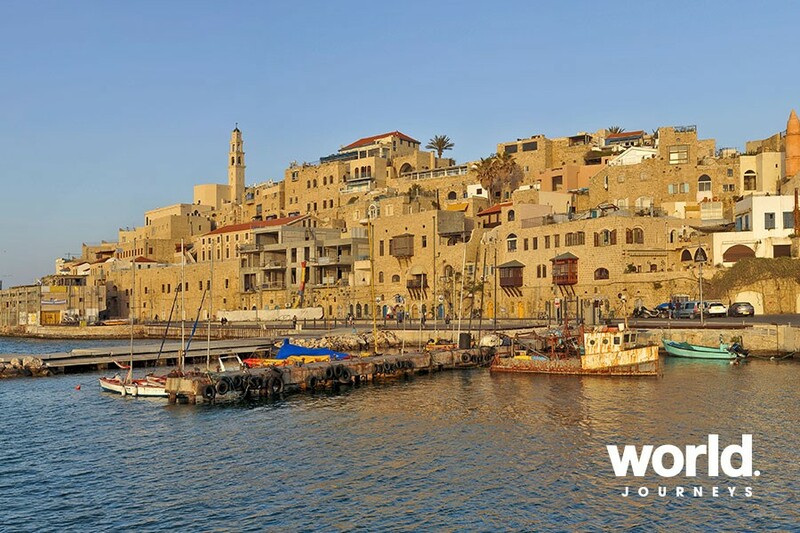 Day 2: Tel Aviv > The Coastal Plain Enjoy a walking tour in the picturesque alleys of old Jaffa (Joppa). You'll visit a fantastic flea market where an eclectic mix of items and tasty treats await you. 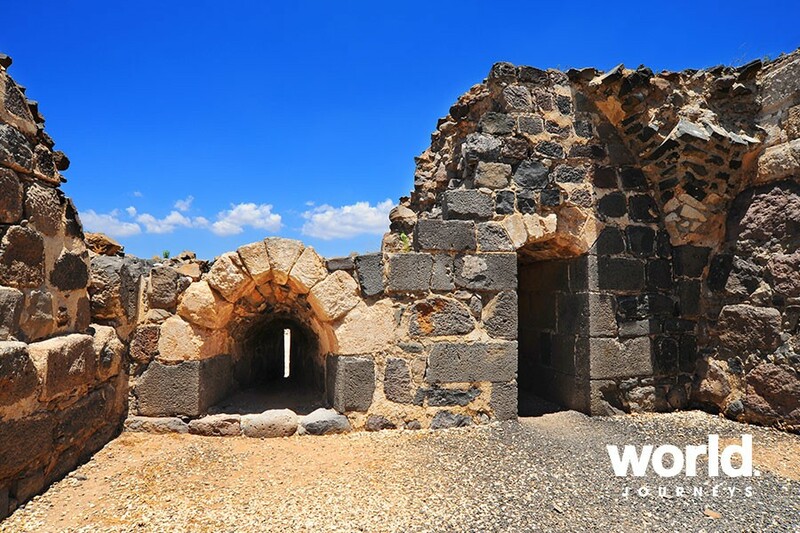 Drive to Caesarea, and visit the Roman Theatre and the Crusader Fortress with its unique dry moat. 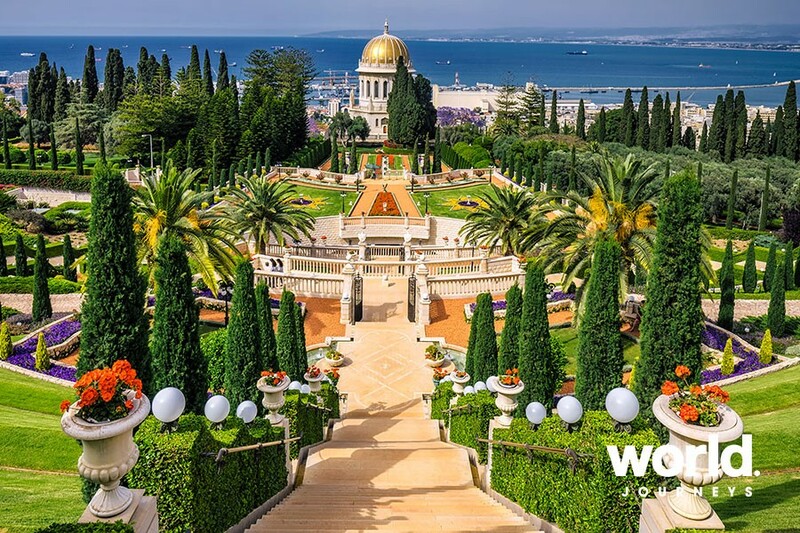 Then to the port city of Haifa to view the magnificent Baha'i gardens from atop Mount Carmel. 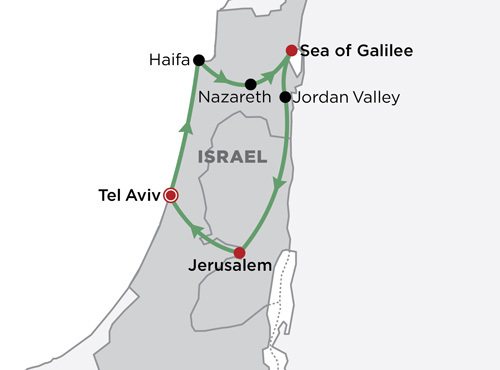 Continue to Nazareth where you will visit the Church of the Annunciation and the Church of St Joseph. Sample some Kanafeh, an oriental sweet made with melted cheese, a specialty in Nazareth. 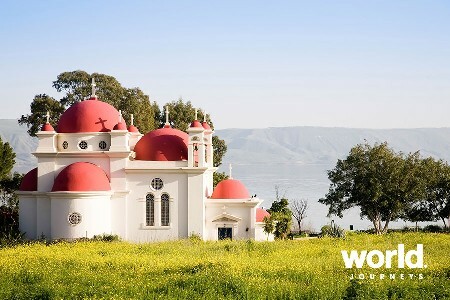 Day 3: Coastal Plain > Sea of Galilee Visit Capernaum, an ancient fishing village and see the synagogue and the recent excavations of the House of St. Peter. Continue onto Tabgha and ascend to the top of the Mt. of Beatitudes, where you can relive the Sermon on the Mount. Visit a Galilee winery for a tasting tour of great wine and homemade cheese. The evening, head to a local Galilean family for a wonderful cooking workshop and later enjoy the dinner you helped prepare with the local family. Day 4: Sea of Galilee > Jordan Valley Stop at Gesher for a baking workshop at the historic Geshet Oven. The "legend of Bread" is a marvellous story about a brick oven that has survived since 1924 and has been lovingly renovated. Today, visitors are able to bake delicious amazing focaccia bread. 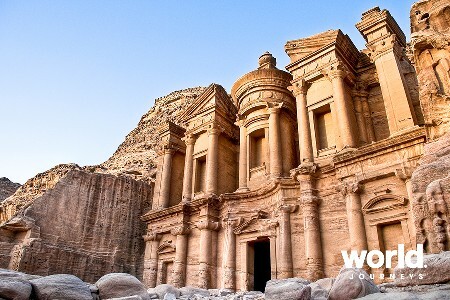 Visit Belvoir Castle, a crusader fort located on the strategic Jordan River. Day 5: Jerusalem Old City Start the tour from atop of the Old City roof tops with a view of the four quarters. Visit Garden of Gethsemane and enter the Old City through one of its famous gates. 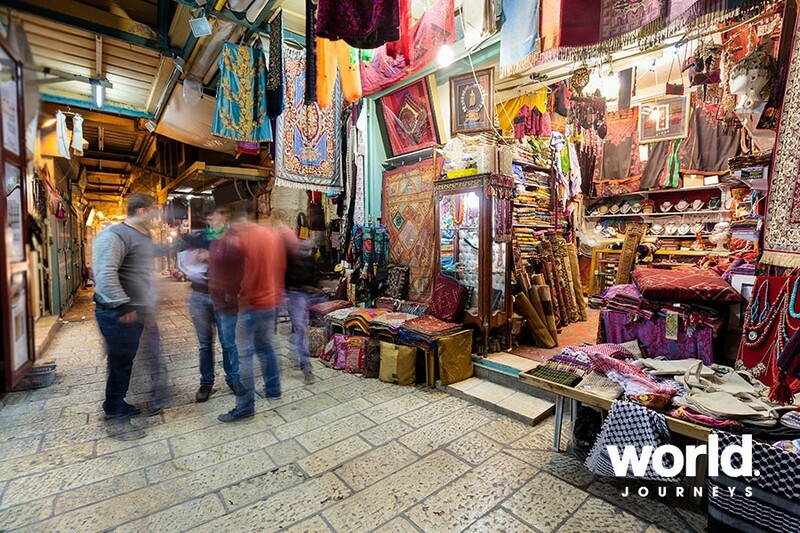 Explore the restored Jewish Quarter and visit the Cardo, an ancient Roman marketplace where you can still shop today. Stop at the Western Wall, the holiest place to the Jewish People. Continue on to walk the Stations of the Cross along the Via Dolorosa, finishing at the Church of the Holy Sepulcher. Day 6: Jerusalem New City Drive by the Israeli Parliament-The Knesset. Then visit the Israel Museum and see the famous Dead Seas Scrolls at the Shrine of the Book. 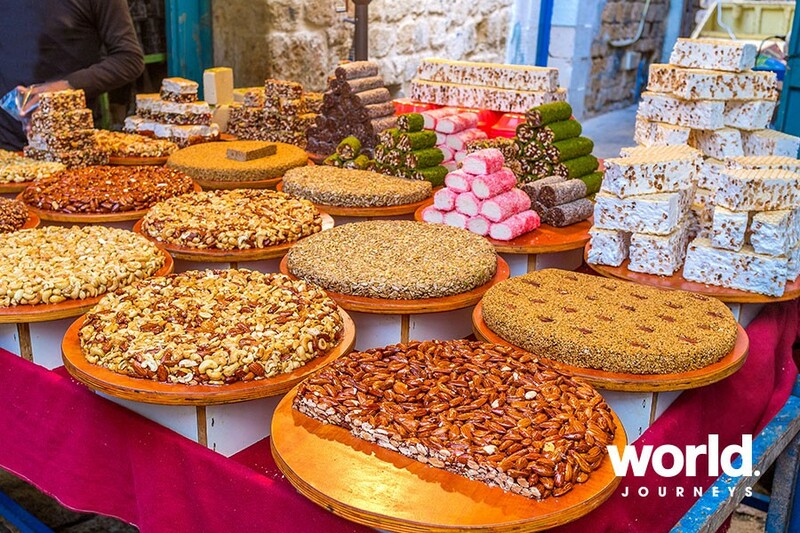 Head to Machine Yehuda for a tour of the market. If midweek, then head to the Artists' Colony for a special dinner at Eucalyptus, a unique restaurant near the old city. You will have the chance to enjoy biblical food prepared by the great chef Moshe Basson. If Friday, then enjoy a special dinner with a local family and learn about the importance of food for the holy Sabbath. Day 7: Jerusalem > Tel Aviv Transfer to airport. 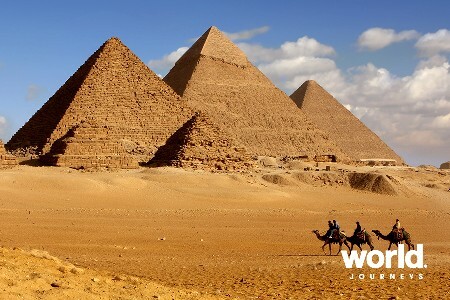 • Tailor-made journey with English-speaking guides • 6 nights' accommodation in boutique style hotels • Transfers, sightseeing & entrance fees • Cooking classes and market tastings as shown • 6 breakfasts, 2 dinners. Surcharges apply over peak periods and religious festivals.